Prasad’s Chetty Naadu Mess in Lebuh Ampang is one of my more unusual banana leaf rice experiences thus far — a hole in the wall above the goldsmith shop along Lebuh Ampang. 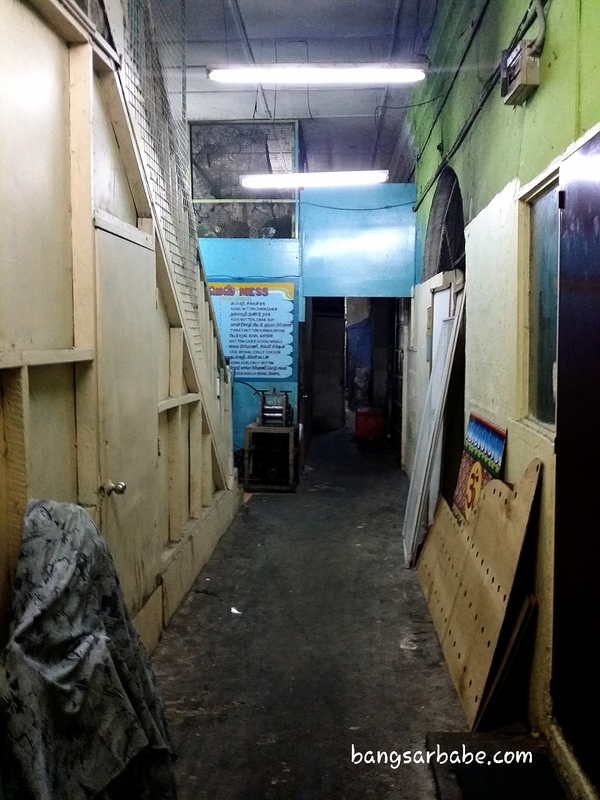 Getting there is a little tricky, for the entrance is rather hidden. 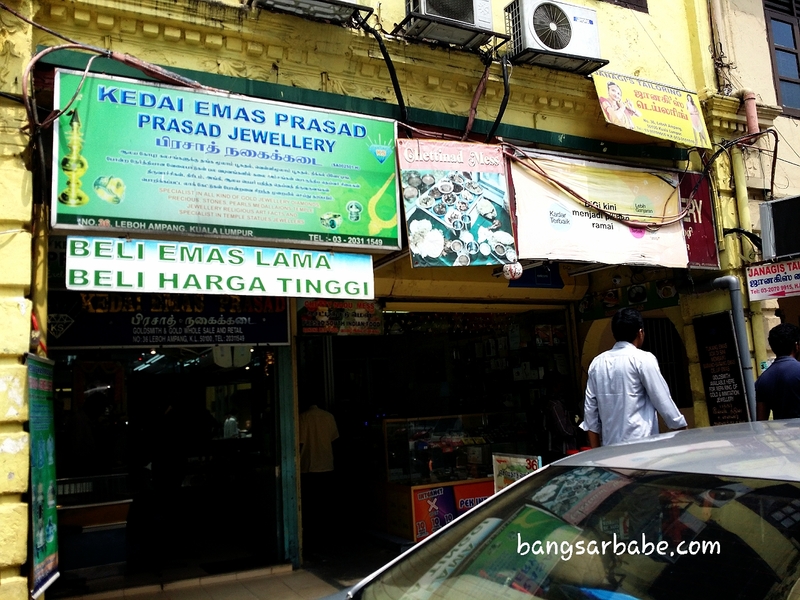 You need to spot Prasad’s goldsmith shop first, where there will be a dark, narrow alley at the side that leads you to a staircase to the first floor where the eatery is. This signboard shows you’re on the right path! 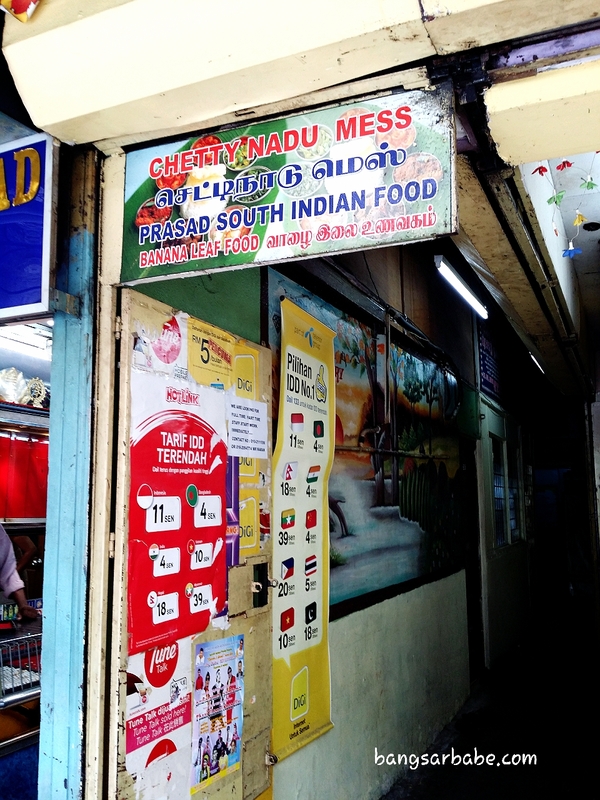 There are only several small tables available at this pre-war shoplot, but Prasad Chetty Naadu Mess offers an eclectic selection of Southern Indian dishes. 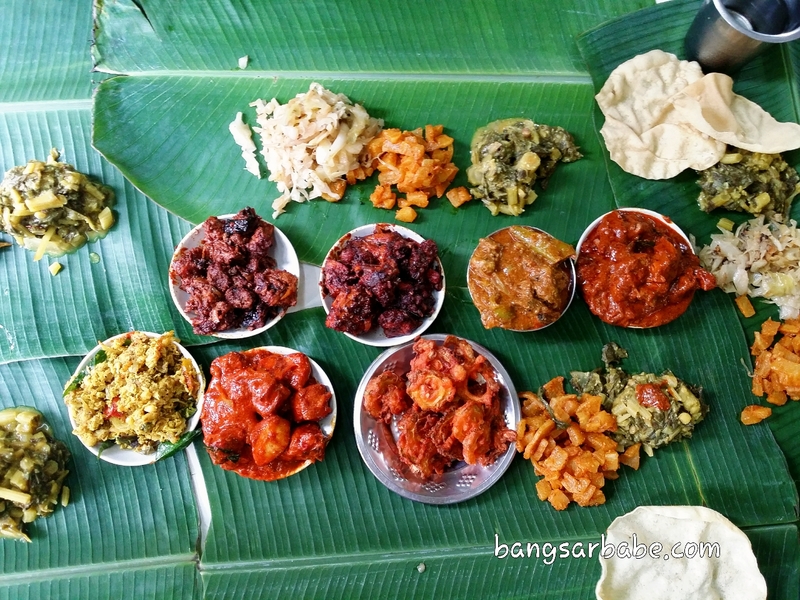 From mutton masala to curried vegetables to chicken peratal, all with their own distinct spice palate. 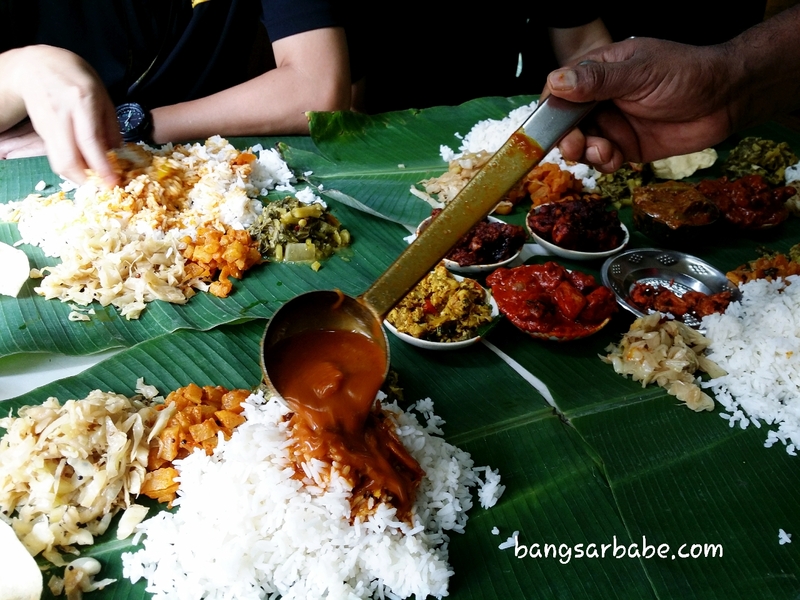 The atmosphere is traditional, with people from all walks of life tucking into their lunches on banana leaves. I’ve been here at least four times and each time, the selection is exciting and so varied I don’t get bored. This chilli chicken is good stuff! 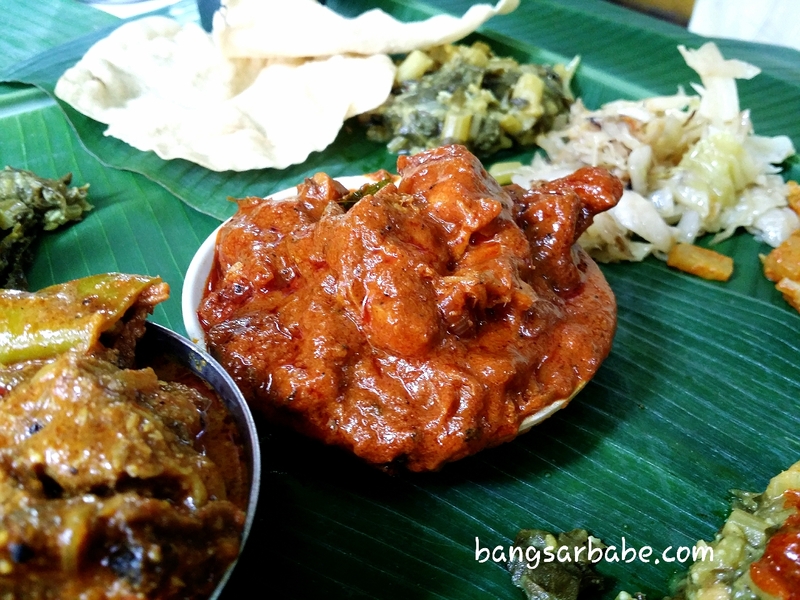 You get a generous serving of parboiled rice, an assortment of vegetables, fresh papadum and curries (chicken, fish or dhal) for RM6 or just slightly more. I like the chilli chicken best, followed by the chicken masala; the latter aggressively spiced and robust in flavour. The mutton masala is well seasoned and fiery, but occasionally, the meat is tough. Prasad Chetty Naadu’s dishes taste seemingly authentic – with plenty of spices, the way South Indian cooking should be. That said, my colleague who is a regular insists that they have toned down on the level of spiciness to suit the local palate. The heat level varies depending on the dishes you take. Some days, the curries are so fiery that little beads of sweat would form with every mouthful of this tongue-numbing goodness. On other occasions, the curries are milder so you only get some tingles minus the massive sweating. 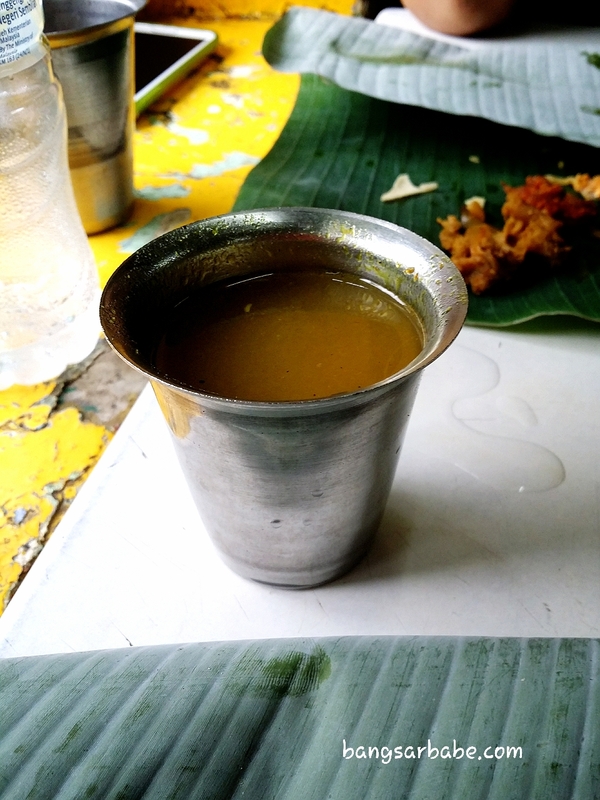 At the end of each meal, I always look forward to a cup of rasam to soothe the tummy from all the spicy dishes. Prices are reasonable here – a meal with two or three small dishes works up to about RM10 per pax and I always leave feeling content. Verdict: If you’re looking for a good variety of affordable South Indian dishes, this is the place. 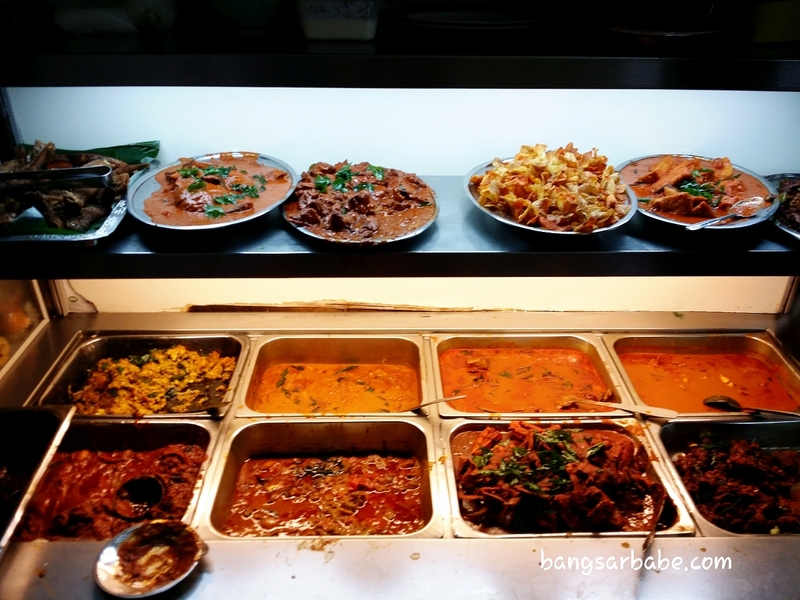 Firstly, tell the friend, if you need some food for local taste bud, go to mamak. 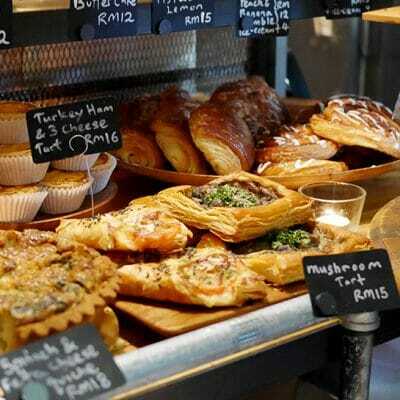 Let the food to be authentic for people who look for authentic food. Secondly, south indians do NOT use coconut milk. Only Kerala (a state) and Chettinaadu (a city in Tamil Nadu) use coconut milk in their food. South Indian includes five states. It used to be just Tamil Na(a)du, A(a)ndhra, Kerala and Karna(a)takka. Now we got Telangana. Each got unique recipes. You can’t just sum it up as South Indian food. Its like saying Korean and Chinese are the same. 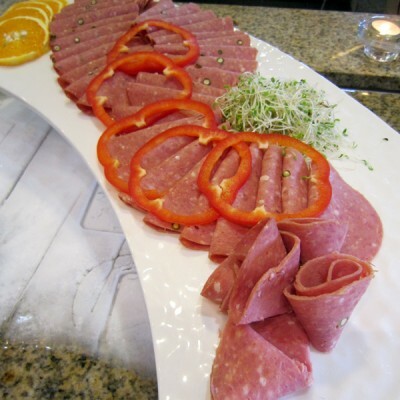 Please educate yourself about our cuisine. It’s bit saddening to see popular bloggers like you ignore the details. Thank you for your comment on Bangsarbabe.com. I apologize for the wrong info about coconut milk. While I don’t claim to be an expert on Indian cuisine, it is a learning process for me. Note that I do not ignore details; perhaps just less informed about them. Hi.Great job on blog and he reviews which I find honest and refreshing. 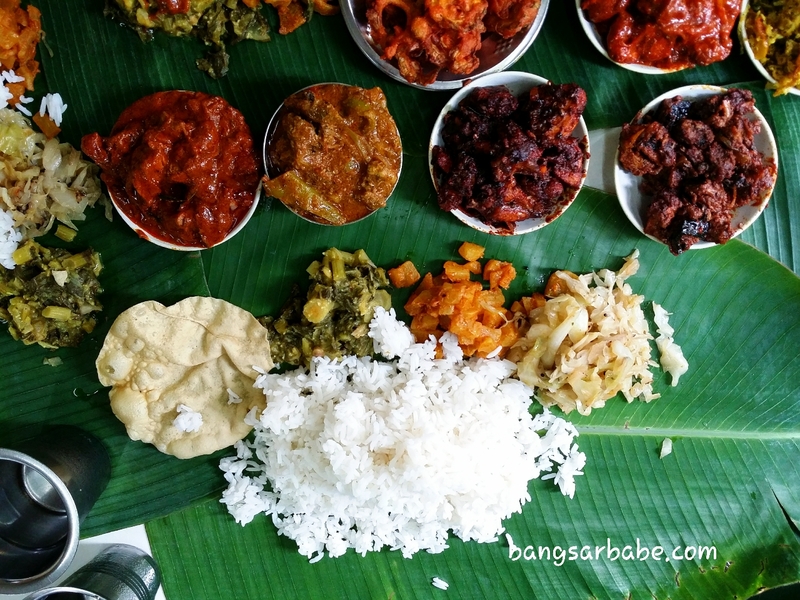 I would like to invite you to come to Rawang( my town) to sample a few places,amongst which are a very old Indian banana leaf place that has been serving cheap food for the last 70 over years; A chinese restaurant that has very few dishes but how ‘oh my God’ tasty they are. Please feel free to contact me on email. Thank you and keep up the good job!